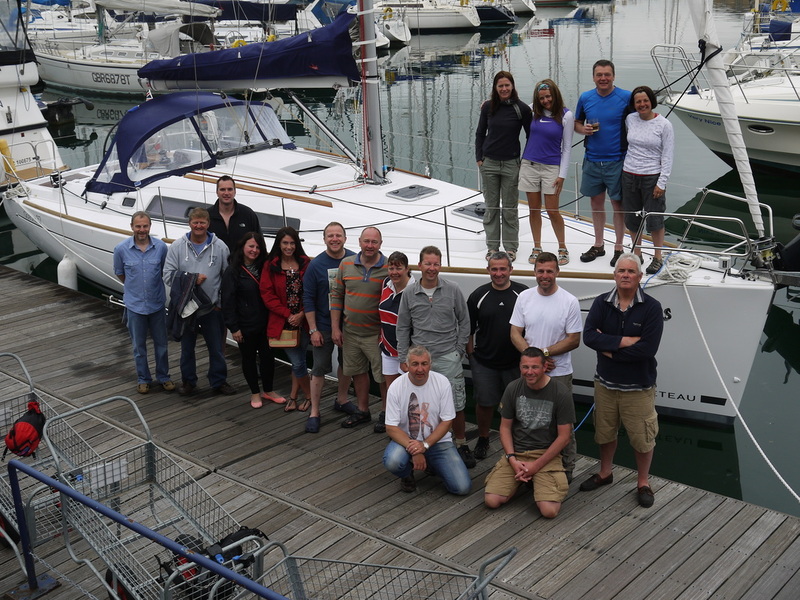 18 of the crew. 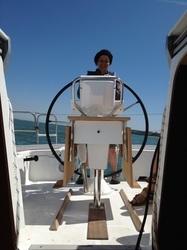 Pic taken by Trev Bichard. 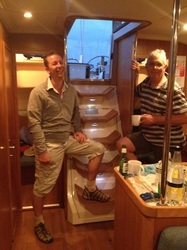 Shaun Millward, Bernie Smith and Jon Lowe had to leave for Jubilee duties. 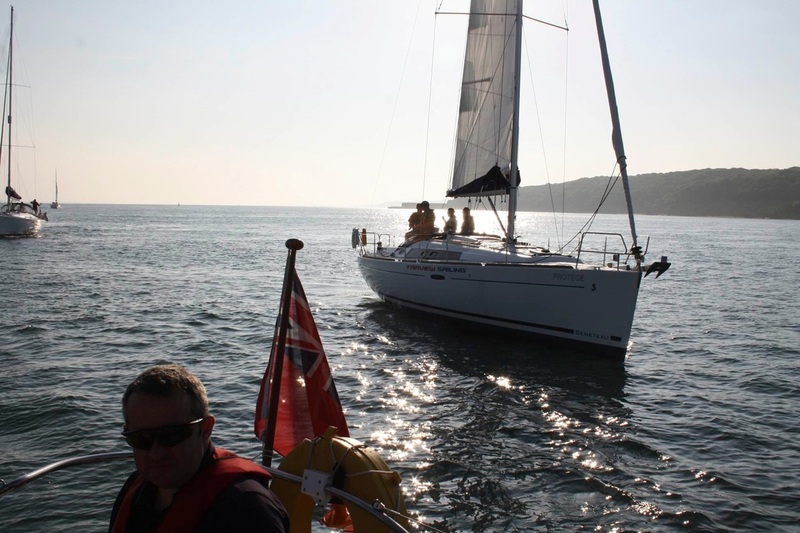 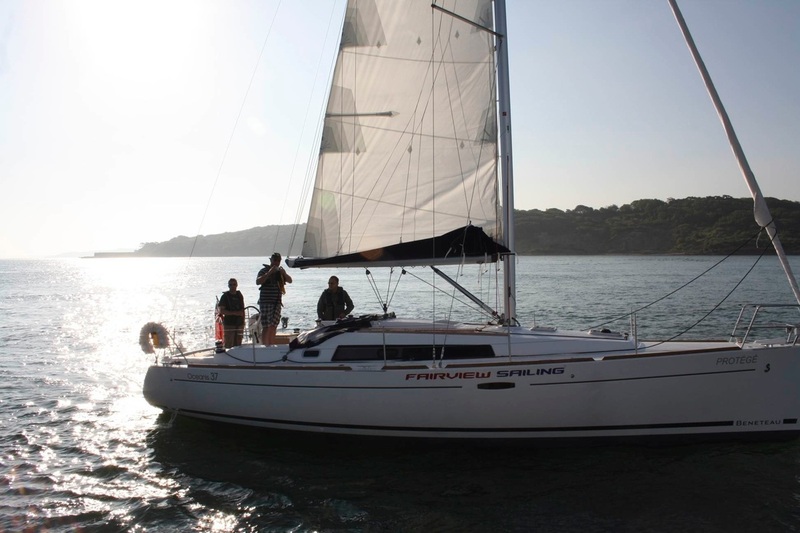 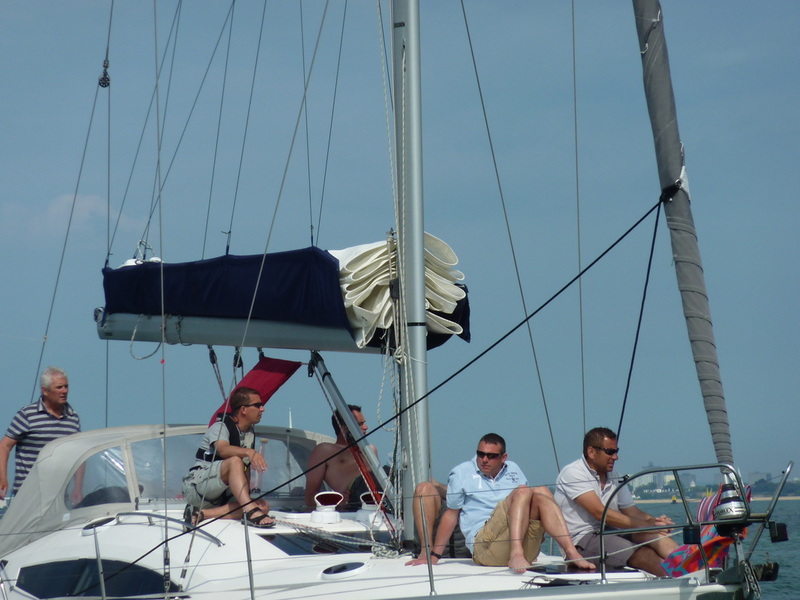 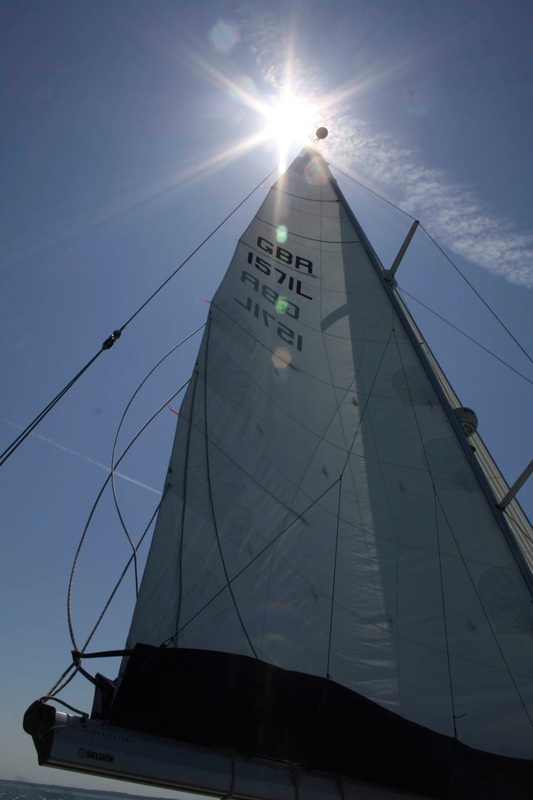 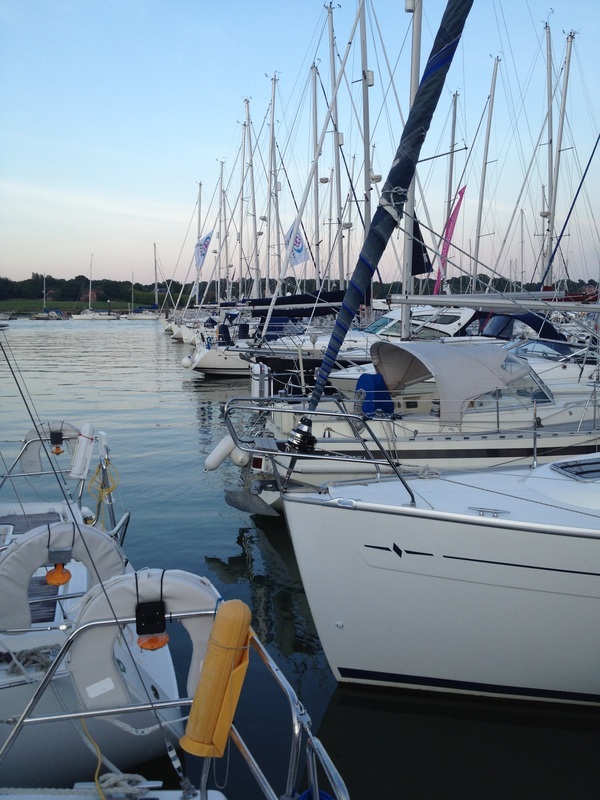 The crews assembeld at 6pm on Sunday 27th May at Port Hamble Marina and relaxed in the evening sun with a beer or two until the yachts were ready to board. Then it was time for a meal on board. 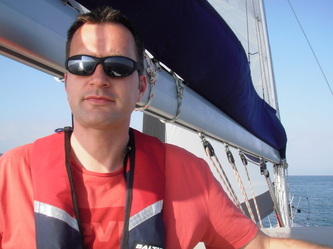 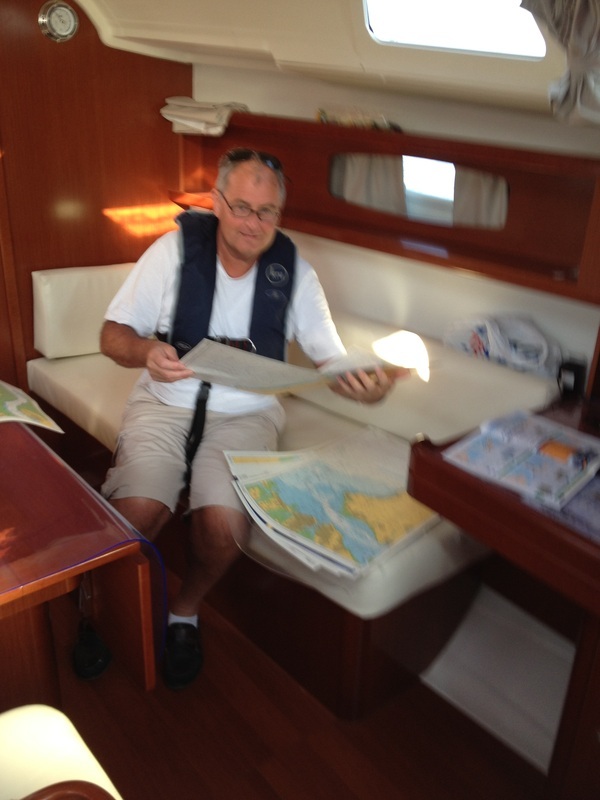 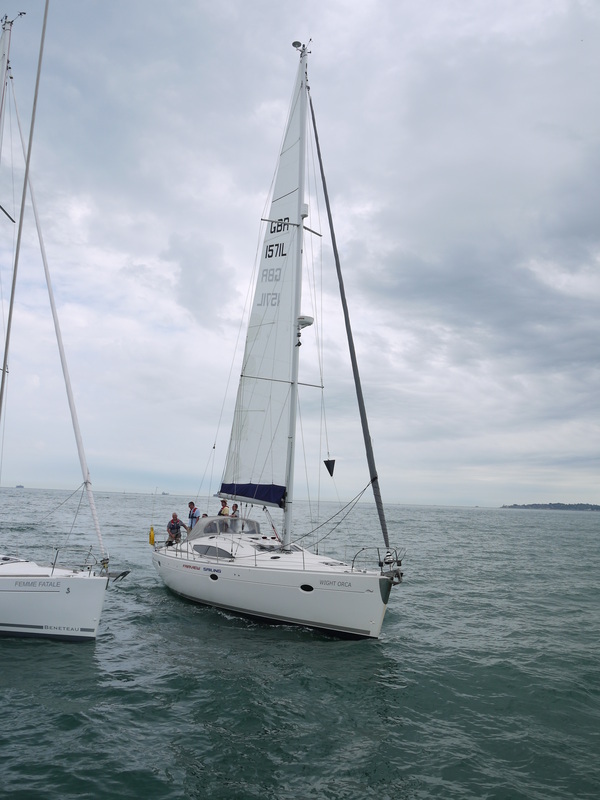 The yachts were handed over on Monday morning, and we made our way out into Southampton Water with no wind. 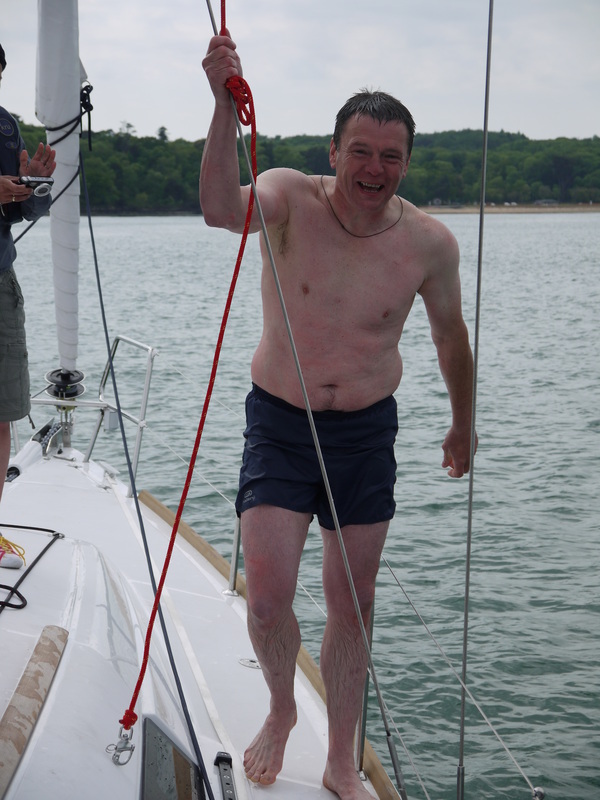 By 11 o'clock the sea breeze had kicked in and we were able to sail in 15 knots of breeze to Osborne Bay where we anchored for lunch. 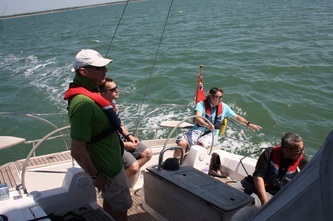 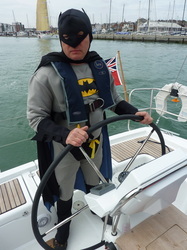 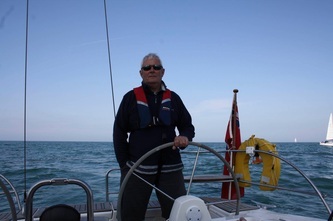 We then had an exhilarating sail in 18 knots of wind to Yarmouth where we moored for the evening. 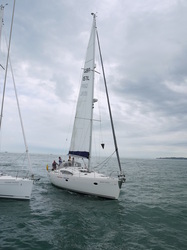 Tuesday morning, skippers briefed at 0645 and slipped moorings at Yarmouth, then sailed the 55 miles round the South of the Isle of Wight to Gunwharf Quays at Portsmouth. 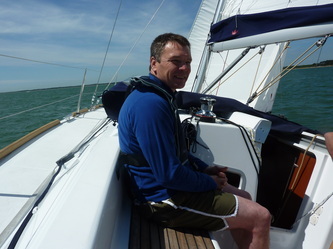 The day started with a gentle 13 knots of breeze which died for an hour over lunch but reappeared in the afternoon as we passed Sandown and Bembridge. 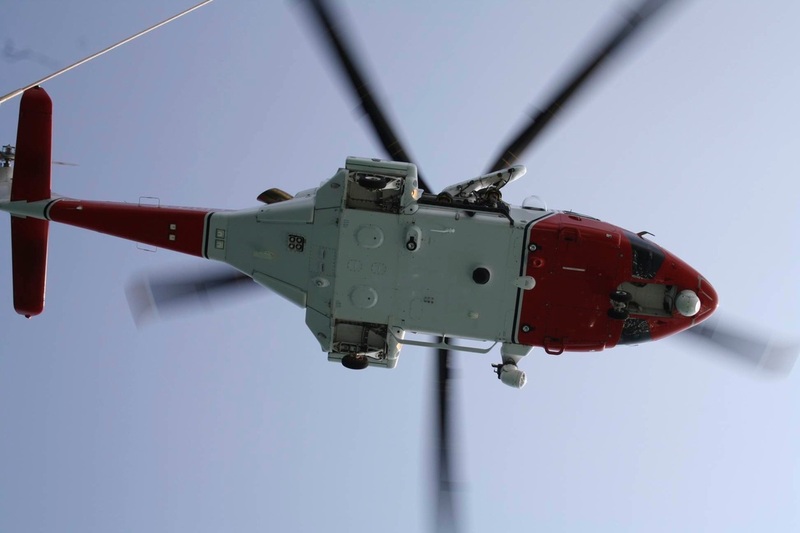 We were met by the Coasgurad SAR aircraft late afternoon for a highline transfer exercise which had to be aborted part way through due to low wind conditions. 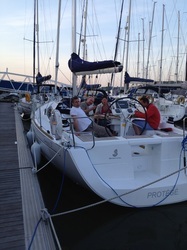 We then moored in Gunwharf Quay for the evening taking advantage of their excellent BBQ facilities. 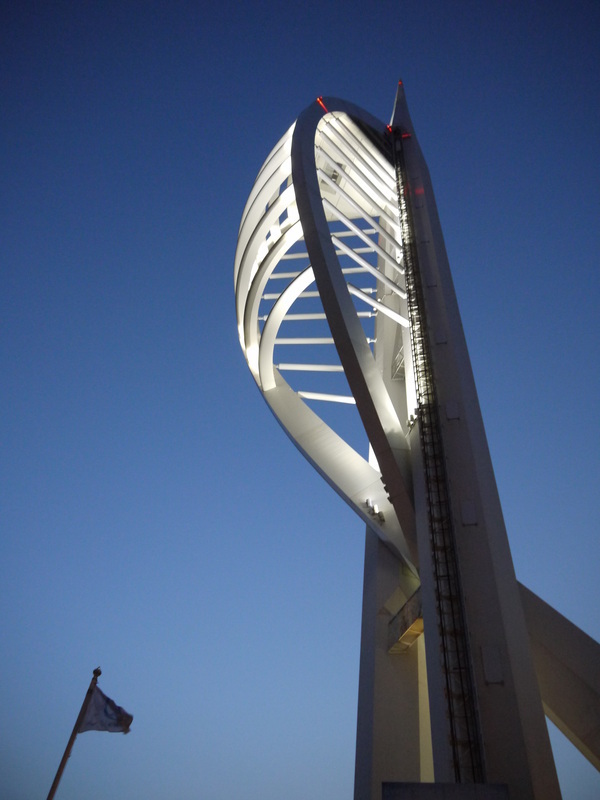 On Wednesday morning the group went up the 170m high spinnaker tower and surveyed the views across the Solent and the Isle of Wight. 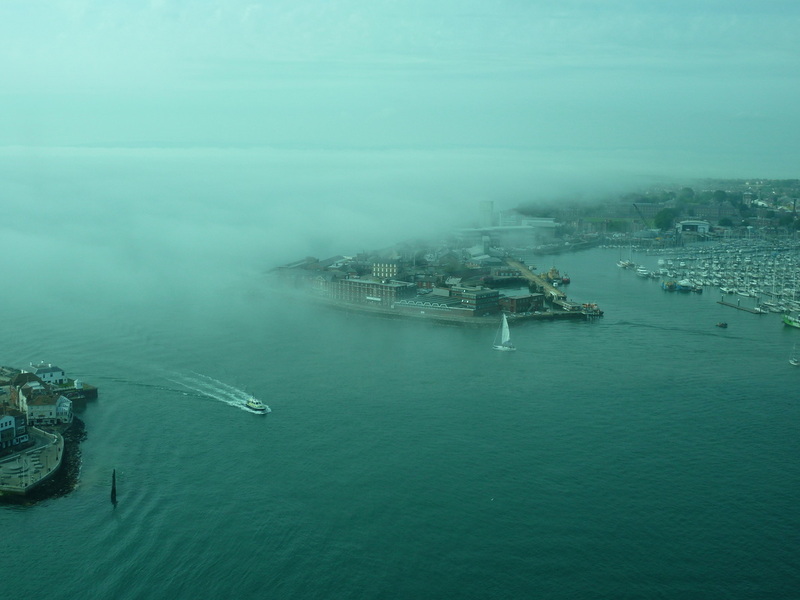 The sight of the fog rolling in across the Solent was spectacular, but spooky. 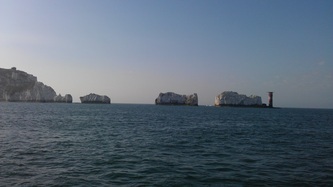 By lunchtime the fog had lifted. 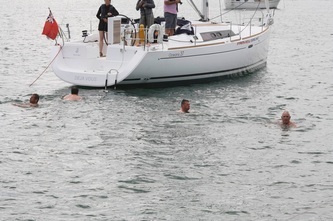 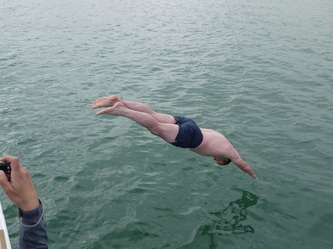 With light winds we ghosted back to Osborne Bay where the crews had a swim round the boats to cool off. 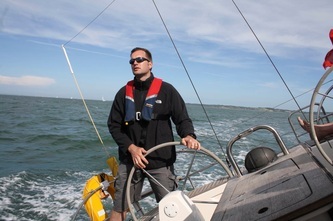 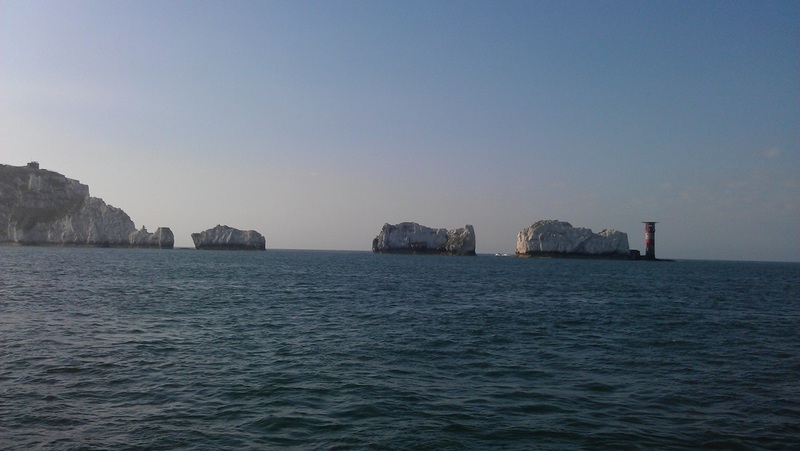 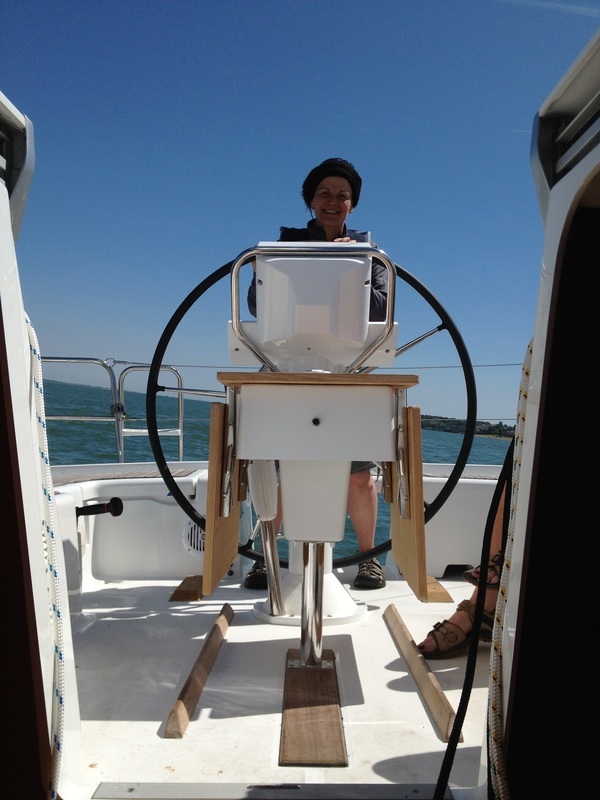 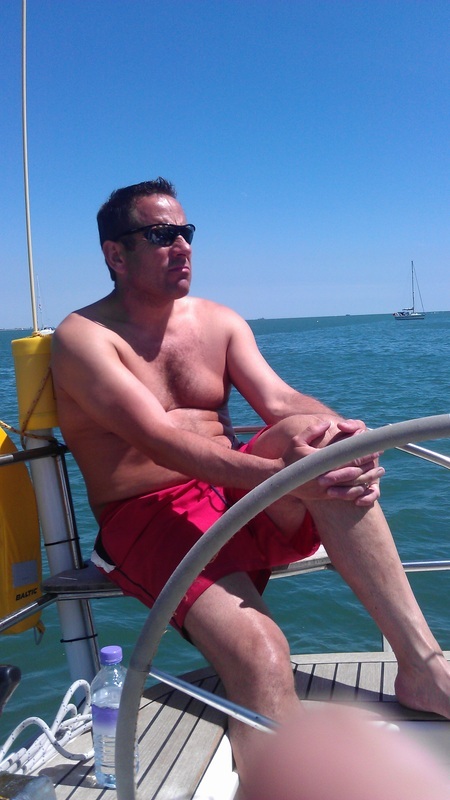 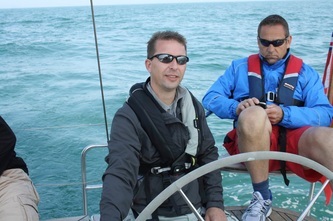 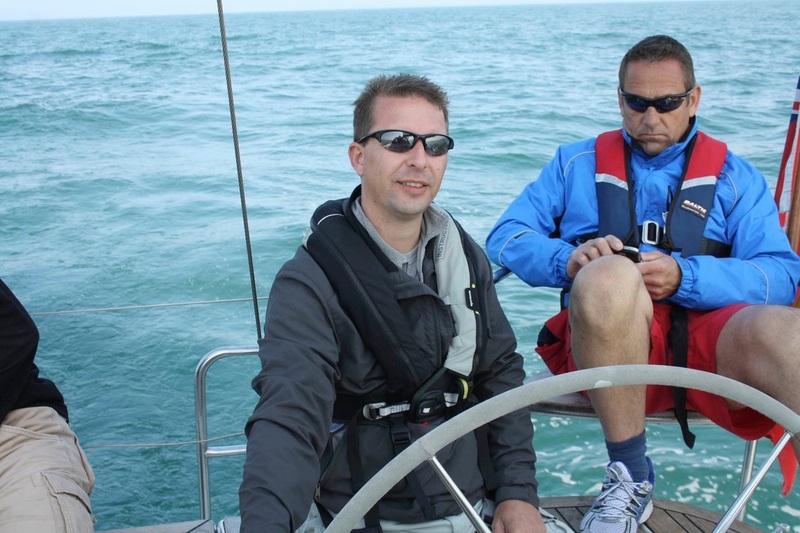 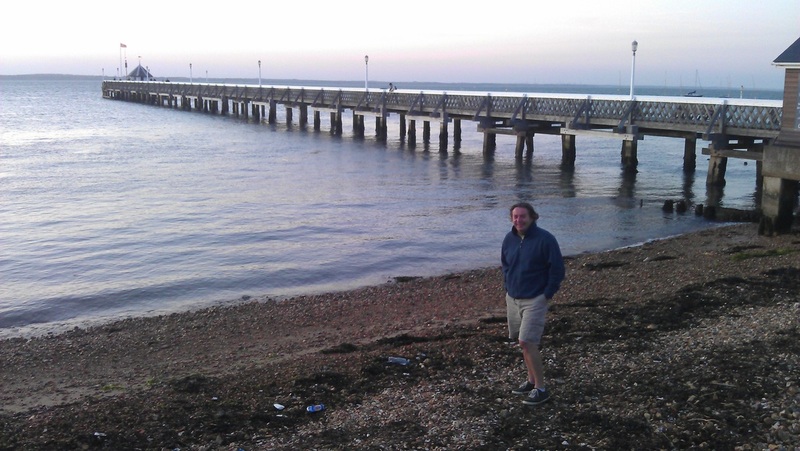 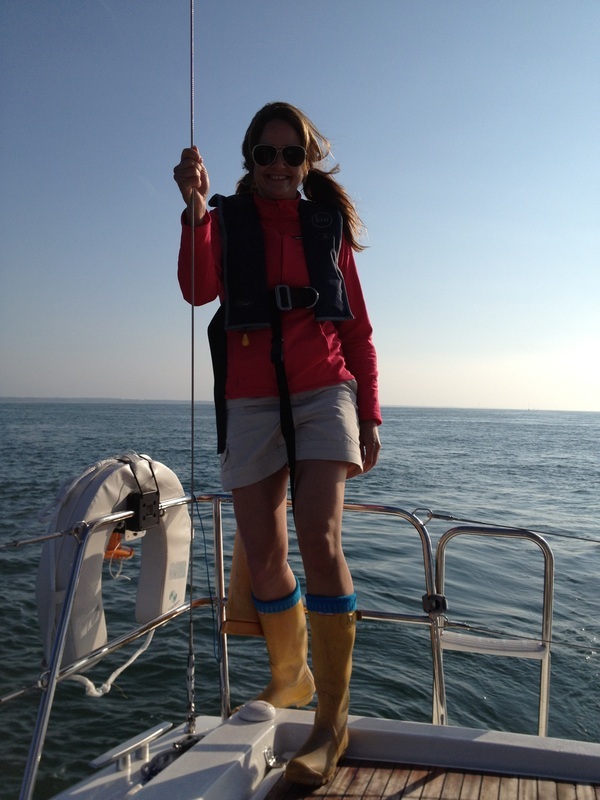 As the breeze increased we sailed off the anchor and headed to Cowes for the evening. 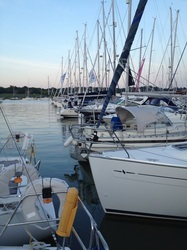 Thursday morning began with a regatta. 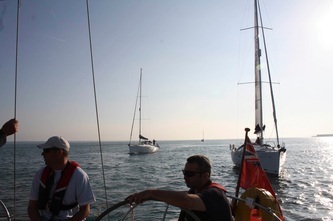 All skippers briefed and headed off for the start line. The crew of Deja Vous donned their costumes for the event and looked marvellous. 'Wight Orca' was first across the line but proved to be much slower than the 37s, despite her length and was soon caught and overtaken by 'Protoge' and 'Femme Fatale'. By the first mark off Beaulieu, 'Femme' & 'Protoge' had made good ground. 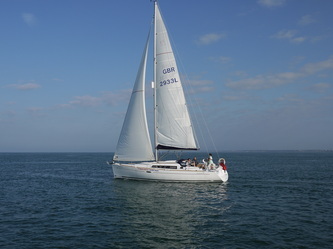 After the second mark was rounded, 'Protoge' was in first, closely followed by 'Femme Fatale'. 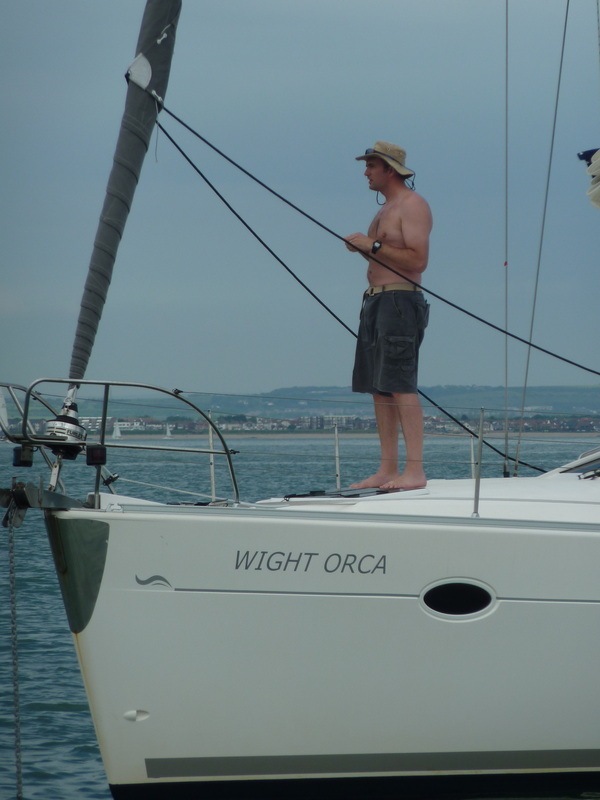 'Wight Orca' then navigated the correct way to the next buoy. It was only once 'Orca' rounded the Hampstead Ledge buoy, closely followed by 'Deja Vous', that 'Femme' and 'Protoge' realised they had made a mistake! 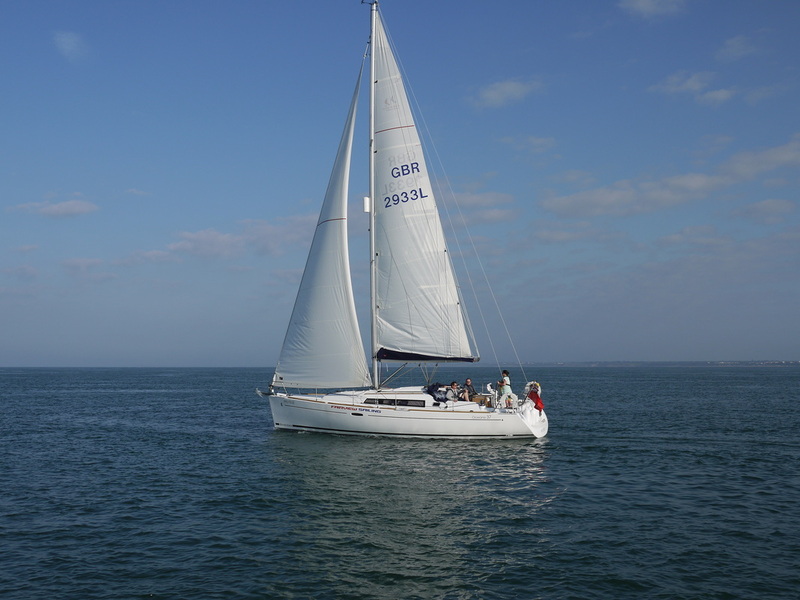 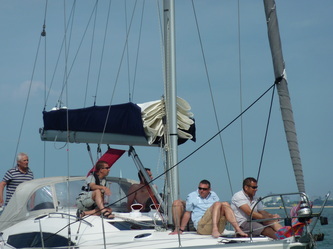 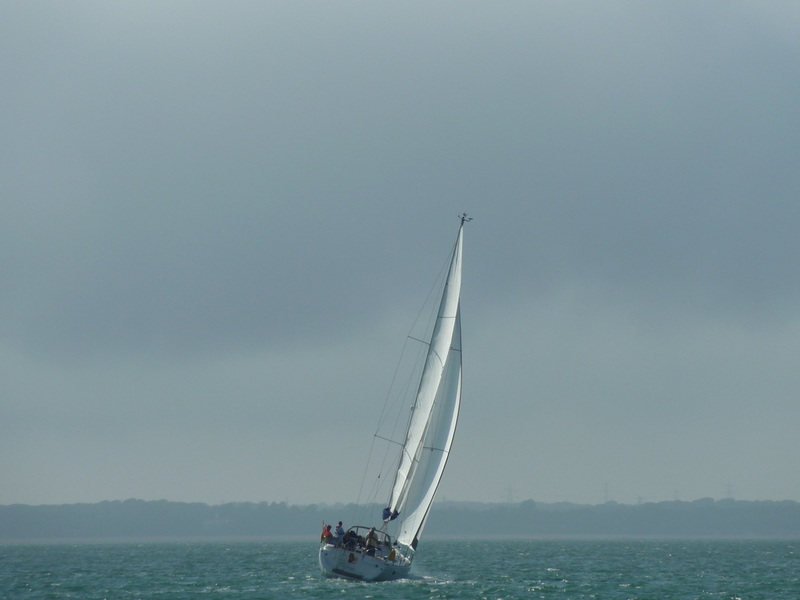 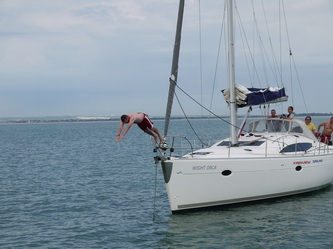 'Wight Orca' broached at the windward mark off Lymington, and was overtaken by 'Deja Vous'. 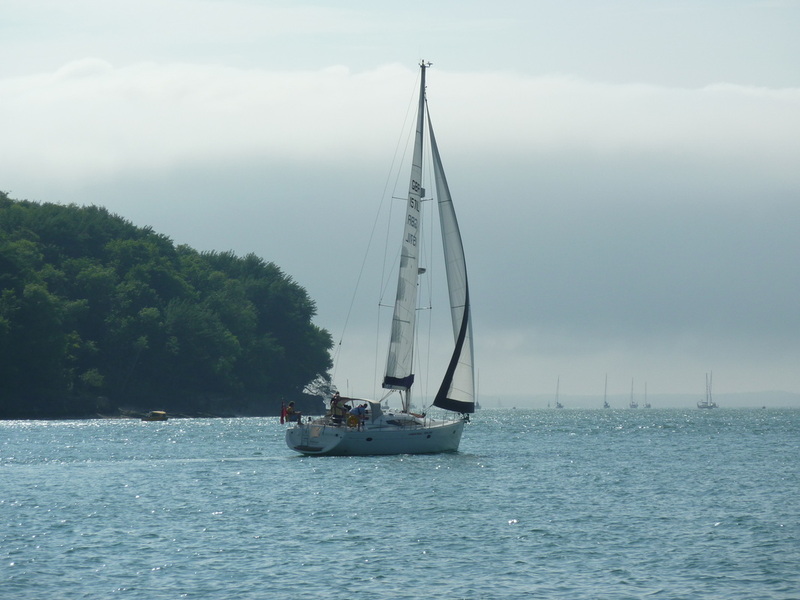 As they bore off downwind 'Orca' stayed inshore, out of the tide. 'Deja Vous' made a bold decision to stay clear of the land and catch more wind but as they reached the penultimate buoy it was clear that the tide had held them back and they had slipped into second. 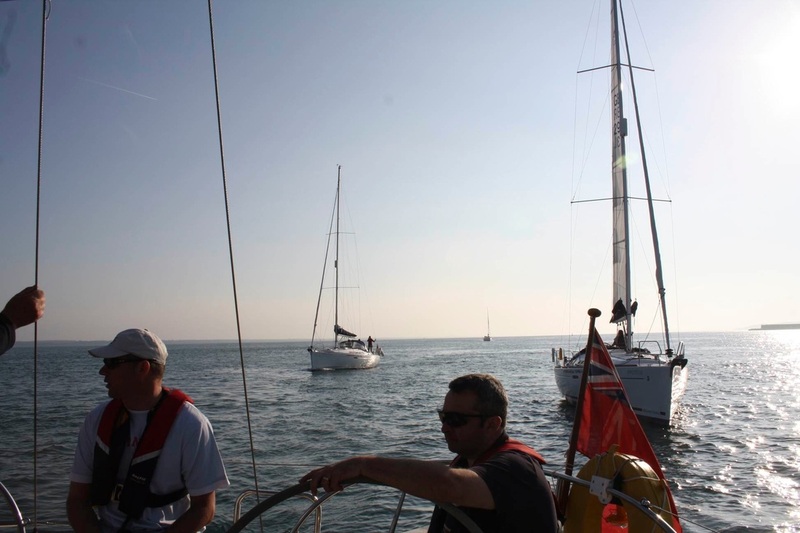 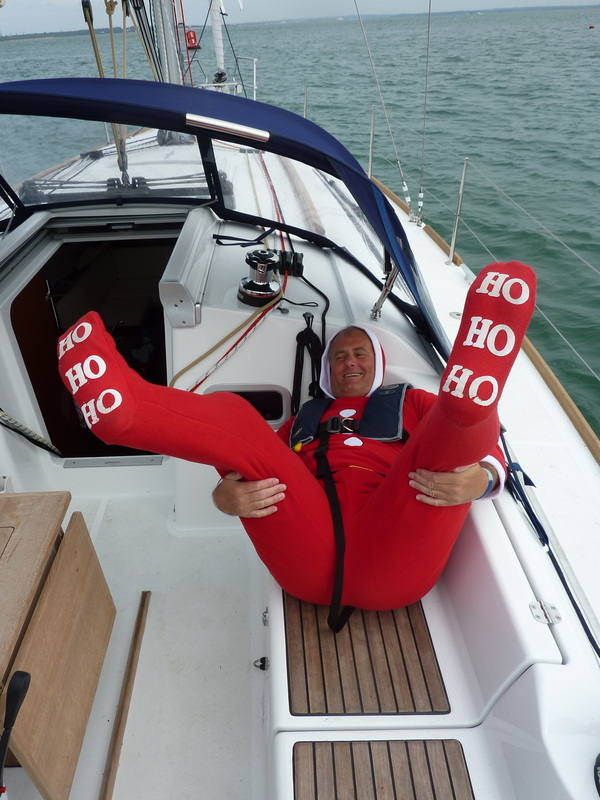 After the race, 3 crew were returned to Hamble due to work commitments, and the fleet headed to Ocean Village, Southampton for the evening and a group meal. 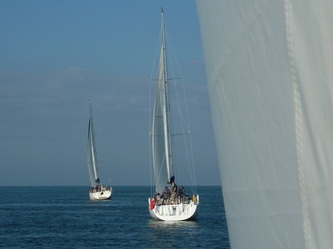 On the way each yacht completed a quiz which had been prepared by Steve Cooke, who had been unable to come. 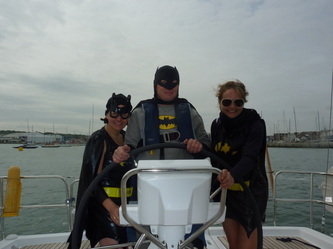 1st - 'Femme Fatale' with 96 points! 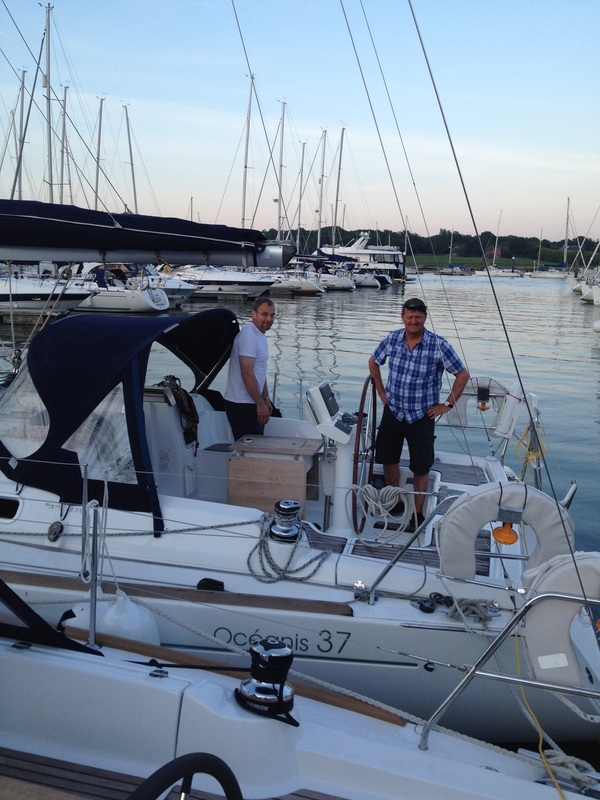 2nd - 'Deja Vous' 87 points. 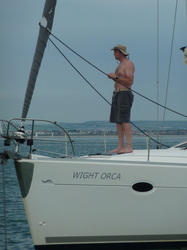 3rd - 'Wight Orca' - 83 points. 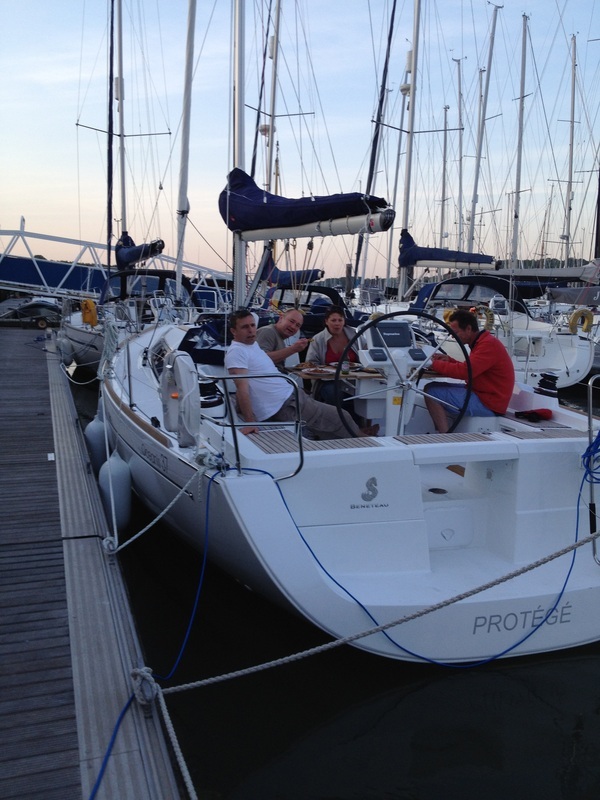 4th - 'Protoge' - 81 points. 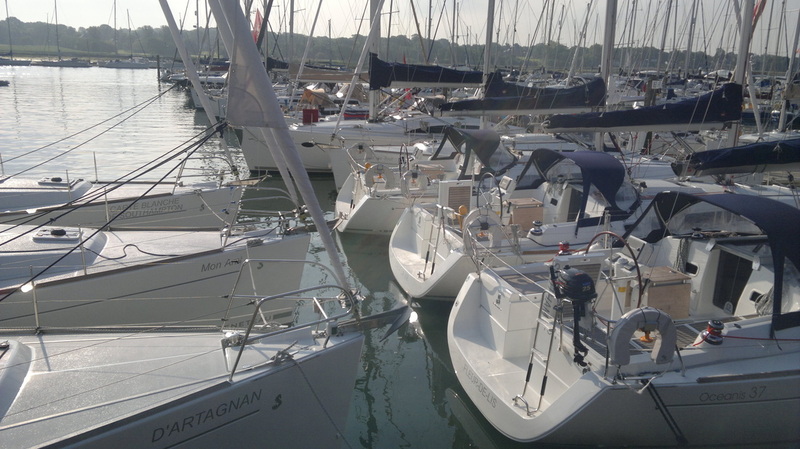 The final half day saw very light winds, which meant a gentle motor the short distance back to Hamble before handing back the yachts. 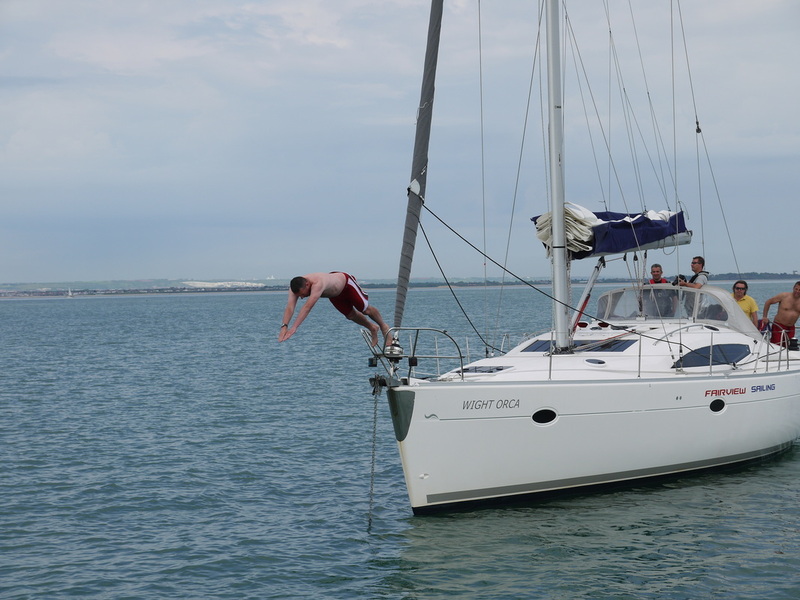 Overall, a good week was had by all and most importantly everyone came back safe and well, other than being a bit sun burnt!